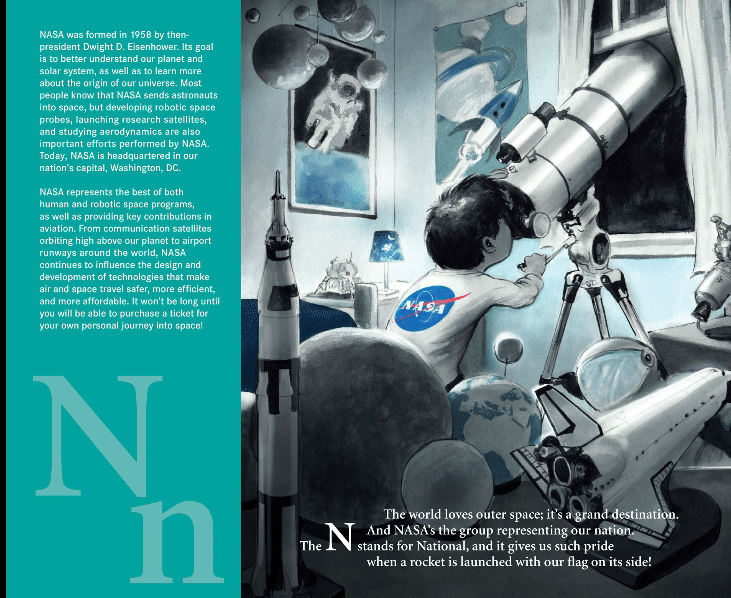 A is for Astronaut was featured on our list of newly released STEM books in March 2018 and I was willing take a more thorough look at it. But honestly…I wasn’t expecting much. When I first saw this book, I assumed it was a straightforward ABC book using space as a backdrop to teach young children about the alphabet. The cover looked charming, but not particularly stimulating. I honestly wondered if the book would be too simple my five year old to really enjoy. When I opened the book, I was immediately struck by illustrations. The art was not what I expected based on the book’s cover. The illustrations are vibrant, detailed, and quite beautiful. The images on every page present a fun mix of whimsy and realism; the art reminds me a lot of David Shannon’s work in A Bad Case of Stripes. 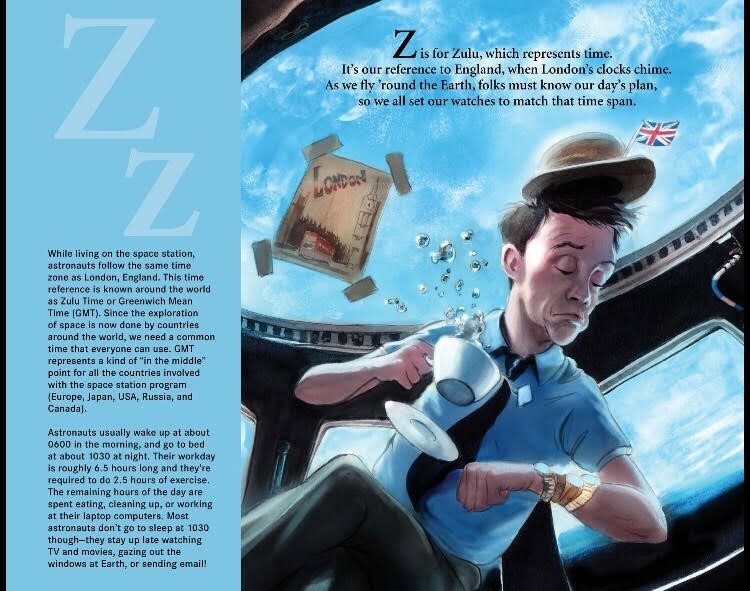 As I dug into the book, I noticed that the text presents a good mix of whimsy and realism as well: The whimsy comes from Anderson’s fun use of rhyme on each page, and the realism comes from the accompanying sidebar with factual information about each space-related topic. 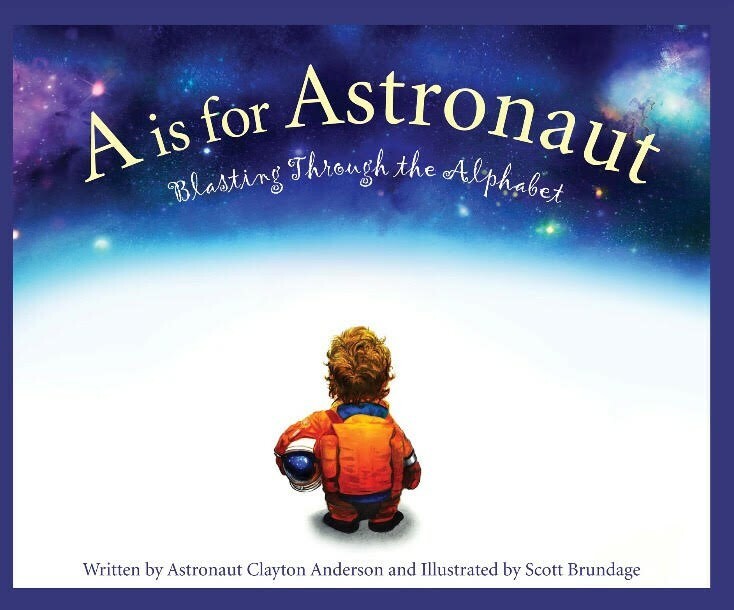 While A is for Astronaut is technically an alphabet book, it’s more of a science book employing the alphabet as an organizing structure. Anderson uses the ABCs to provide information about energy, galaxies, meteors, oxygen, and much more. While the book is exceptionally science-focused, I do love how Anderson incorporates verse. I believe this makes the content appealing to kids of various ages and grade levels. I also think this structure gives readers options in how to approach this text: For younger children, this book can simply be read as a fun and informative rhyme. For older kids, or younger ones with a deeper interest in space, the sidebar information can be incorporated for a more thorough story about space, engineering, and exploration. My only real critique is that Anderson’s rhymes can, at times, read a bit peculiar. But rhyming well is incredibly difficult and most of his rhymes do read naturally…there were just a few that didn’t quite roll off the tongue. But I believe that one of the greatest things Anderson brings to this book is his own life experience. The fact that Anderson is a retired astronaut adds a layer of expertise and authority that is undeniable while reading. His style is also one that encourages learning: he clearly states that astronauts are constantly investigating, advancing technology, and searching to answer questions about the universe. Through this book, he invites kids to participate in this constant search for more information and discoveries. 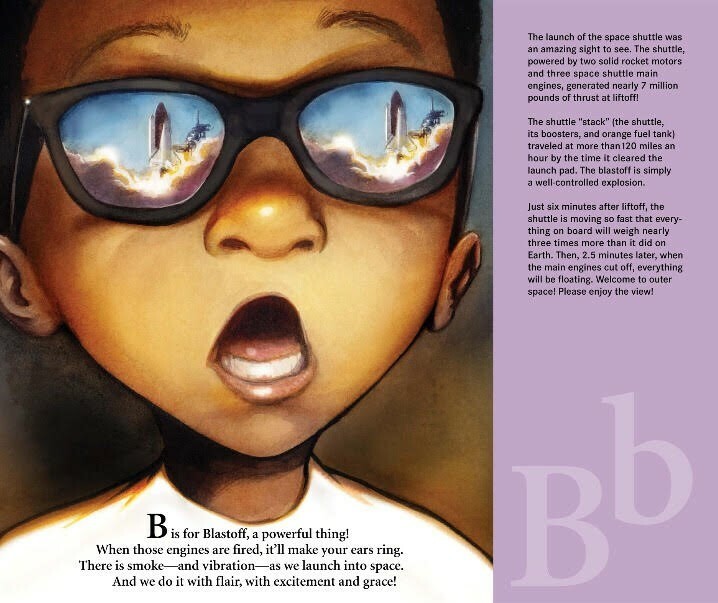 Even if your child just has a general interest in space, or if she is already proclaiming that she will travel to the moon one day, give this book a try. As mentioned, don’t overlook this one based on the cover or the title. There is sure to be something in its pages to inform and entertain kids of nearly every age…and even adults!